The Trans-Siberian Railway is a network of railways connecting Moscow with the Russian Far East and the Sea of Japan. It is the longest railway in the world. In March 1891, the future Czar Nicholas II personally opened and blessed the construction of the Far East segment of the Trans-Siberian Railway during his stop at Vladivostok, after visiting Japan at the end of his journey around the world. Nicholas II made notes in his diary about his anticipation of travelling in the comfort of "The Czar's Train" across the unspoiled wilderness of Siberia. The Czar's Train was designed and built in St. Petersburg to serve as the main mobile office of the Czar and his staff for travelling across Russia. 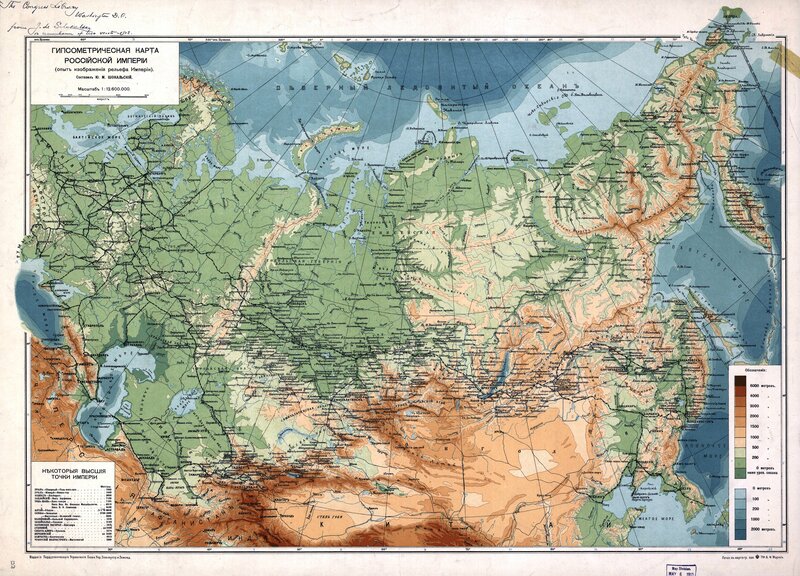 The main route of the Trans-Siberian originates in St. Petersburg at Moskovsky Vokzal, runs through Moscow, Chelyabinsk, Omsk, Novosibirsk, Irkutsk, Ulan-Ude, Chita and Khabarovsk to Vladivostok via southern Siberia and was built from 1891 to 1916 under the supervision of government ministers of Russia who were personally appointed by the Tsar Alexander III and by his son, Tsar Nicholas II. The additional Chinese Eastern Railway was constructed as the Russo-Chinese part of the Trans-Siberian Railway, connecting Russia with China and providing a shorter route to Vladivostok and it was operated by a Russian staff and administration based in Harbin. The economy is based on all ECS Vectors. The ECS Houses set is not included, thus no consumers for petrol and tourists. But a more authenic optic for 1890. Throught my settings of ECS there is no closure and foundation of industries. Snowline - the maps is complettly covered with snow in the middle of the winter. You are able to build tram rails from the beginning of the game. But they always got overhead lines even if there are no electric powered tram vehicles. So just switch the overhead lines off, until they make sense. See screenshot. The Industrial Trams of the HEQS set are very useful for short connections from industries to the railway network. If you got problems to earn enough money for a fast construction of the railway there is a way to earn easily money with out cheating. Along the rivers Ob, Yenissai and Lena are several forrest and sawmills. Use the cheap Log Rafts to connect them. That will guarentee a nice income. The city Donetsk and its environs is great for building a very productive car industry. It could help you in the beginning of the game to raise the production of your primary industries even in the far away Siberia. I don't want to confuse unexperienced player with it. So you have to add it yourself to the scenario. This version is also at the ingame downloader and BaNaNas available. All needed GRFs can be downloaded ingame. At european part of Russia is simple railway net. So you are able to start the Construction of the Trans-Siberian Railway from the hillside of the Ural. Just like in history. Also the company generates a nice income. So you will get no troubles with financing your constructions. The only difference to the scenario abow is that it starts with no constructions. Here are GRFs added that you can't download ingame. But from the links below. You also start with no running company. The scenario contains no industries at all. For everyone who wants to build his own version of the scenario. e.g. with FIRS instead of ECS. The ECS parameter are changed. The game is allowed to found industries. So you are also able to play this scenario without any changes. You just need some patience. For guys who want to play on bigger maps. You'll need this patch. You are welcome to leave feedback in this thread. Also reports and saves of your game. Even changed versions of the scenario. Last edited by Kjell Bjarne on Thu Jun 02, 2011 9:24 pm, edited 10 times in total. I'm happy you like it. Feel free to leave your feedback and report what you are missing. Last edited by Kjell Bjarne on Thu Feb 17, 2011 10:03 pm, edited 1 time in total. - about train station, i think that the canadians one could fit well, at least for the snow. - also i think that to have illimited ressource for the mines could be a good idea (i personally hate when one is closing and force me to look for an other one) check ECS parameter for this if you agree with me. Nothing more at the moment. I had eGRVTS in the scenario and kicked it out because it is "spamming" vehicles. The horse powered vehicles look pretty nice but I dont like the later vehicles. Also the cargo capacity of eGRVTS vehicles is very small, in my test they couldn't manage the amouth of cargo that ECS is putting out. I faked the scene for the screenshot. Before I took the shot there were 10! 6HP-coaches on the short road and they couldn't handle the output of a single forest. I see your point, but on the other hand I hate long lists of vehicles to choose of eGRVTS ecspesially because the long vehicle cars at the bottom. I will think about this. The canadian station set is also my favorit for now. It isn't in the scenario because it isn't at bananas. Probably it will be in the non-bananas compatible release of the scenario. But I am still hoping to find a station set that suits better. I set all ECS vectors on parameter "28", so no closing and founding of industries in the game. For the glory of Russia and the Tzar! - Conquer Siberia by steal and fire. The OpenTTD scenario - just released! Also about the Ecs parameter "28", no closing, no founding, i guess that s meaning once they are empty we have to replace them with our cash? or does it mean they are also infinite ressources ? and about stuff not being on bananas, i think long vehicule grf is not too... i had to download it from grf crawler. (also is it desired to have the censured vesion and the uncensured together? Looking forward for the other release ! I am just hoping the most resources lasts until the normal player has build the complete Trans-Sib. But I haven't tested it yet. What option do you like more "found by prospection" or "normal founding"? It is no bananas, but... .Yesterday I tested the scenario with a blank version of OpenTTD (all GRFs deleted) and realized that I was using an older version of Long Vehicles. It's fixed now, but not yet released. I think that will solve the problem. Some hints for earning money. A LOT forests and sawmills are placed along the rivers. If you connect them with the cheap LogCraft it is quite easy to earn money in the beginning. So you should get a good income in the hard starting era for building the first railways. On the other hand it is hard get the cargo "vehicles" to forest and rise the output, because they are in the middle of nowhere. That should limit the income from the forest to a realitic level. about the industry i ll definitely would prefer it foundable as other (so i can replace a empty mine when it happens...) i know it s sound totally irreallistic, but on such a big map, once you ve built a huge network, i m quite sure it would become ennoying(some will say challenging) to get new mines connected. but btw that s a setting that player can change during gameplay so it s no big deal at all if you choose prospection. What about the base cost modifier? High settings for removing trees, rocks or terraforming as well as more expensiv bridges, tunnels etc. would reflect the difficulties of building throu the wilderness. Sounds nice. I'll test it. I have some comments about this scenario. I noted that the map contains channels and reservoirs that were not there at 1890. Like the reservoir near Rybinsk, or Moscow-Volga Channel. Stalin in 1890 was only 12 years old. Historically the supervisor of the Trans - Siberia Railway project was Count Sergei Yulyevich Witte. It is not clear why you choose to stop on Kiev. In 1890 the railroads in European part of Russian Empire were already built all the way to at least Warsaw, which was the part of the Russian Empire too. Finally, the game mechanics makes this railway to have no economic sence. Speed of about 17.3 miles per hour (about 28 kilometers per hour) corresponds in the game to one square per day. Even the fastest train, available in 1890, can not deliver any cargo for more than 1000 squares before cargo would loose any value - even if it would deliver cargo by absolutely straight and flat railway with top speed. With cargo rates in this scenario, there is no cargo that would be reasonable to deliver all the way, using Trans-Siberian Railway. In this game scenario, it have much more sence to build many short local railways in Syberia. In Russian Empire ships were most profitable way of transportation (and still are for the bulk cargos). The ships, available in this scenario, are totally unsutable for this purpose. They are too expensive (both initial cost and running cost) and too slow for this map. You are right there are some things that are not historically correct, but of good reasons. The channels and reservoirs are a compromise to the game play (ships). Also Tsaritsyn (Stalingrad/Volgograd) is a big city with industries in the game. But it wasn't a very important city at that time. I just wanted the people give something what they know and want to see. The manager face looks so much like Stalin, so I had to take him. It is just a joke. Remember, it is just a game and should be enjoyed my many people, not just by some historicans. In one of my scenarios is the slow 28 km/h Russian Train and Tram Set all the other got the much faster NARS set. Which is much better for the game play. So you can choose what you like authenticity or better game play. Like I said in the release post. There are enough industries in siberia, you dont need to transport the resources all over the map "1000 squares". Even in Soviet Union they wouldn't had transport coal from Irkutsk to Moscow. In the game and in reality that is economic nonsense. All the industries in siberia are placed the way you have no other chance than to build the Trans-Siberian. Just play the scenario and you will find out. The ships are a gold mine in the game. In my mind they are too profitable. Just watch the scenario with the running company. Feel free to post you changed scenario and savesgames in this thread. Very accomplished scenario. Lot's of fun. Although I haven't managed to get all the GRFs working. Which GRFs aren't working? Are they just outdated or not running? And thank you the compliment. I'm looking forward to playing this but can't find the plane grf (rusplanesottd.grf). Can you post a direct link to the file ? Спасибо огромное за эту карту! http://www.redace.narod.ru - ÏÅÐÂÛÉ ñàéò î Red Ace Squadron ïî-ðóññêè! I would like to see how you play the map. Maybee you like to upload one of your savegames. I just joined (and found) this site yesterday but I can see I will be spending some time here. I loved this game and have missed it with leaving Win98 behind. Currently 'trying' to get this to work on my 64bit Win7 (via USB stick). Hi mate and thanks for the great map. I am playing the 'no company' version and have a question about the vehicles factory. I provide it with everything it needs, but it stopped producing vehicles. Any idea what I could be missing? Picture related: that's the factory in question. File comment: The striking factory.